The registered nurse is responsible for practicing safely, competently, compassionately, and ethically and is accountable to the client, public, employer and profession. The registered nurse practises using evidence‐informed knowledge, skill and judgement. The registered nurse contributes to and promotes measures that optimize positive client health outcomes at the individual, organizational and system level. The registered nurse establishes professional relationships and demonstrates leadership to deliver quality nursing and health care services. Standards are broad and principle-based statements. They are authoritative statements that articulate conduct or performance required of registered nurses. They serve to further define responsibilities set out in legislation and regulation. The primary purpose of standards is to identify the level of professional practice expected of registered nurses, it serves as a benchmark against which actual performance can be measured. All registered nurses are responsible for understanding the standards and applying them to their practice. How does this standard apply to your practice? FAQ: Fitness To Practice: What does that mean? 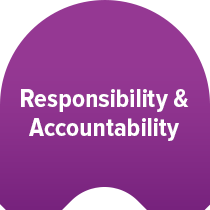 FAQ: Duty to Report: When am I responsible to do so and how do I do it? Lily is a registered nurse (RN) and she recently started working on a general surgery unit. She has noticed the wound care practices appear to be outdated compared with the last unit she worked. Lily is new on this unit and doesn’t want to “rock the boat” but she is concerned about the wound care practices. Answer: Lily would research current evidence informed wound care practices to determine if her past practice actually was best practice. To do this she might contact a wound care specialist, take an on-line course or research recent wound care journal articles. If she discovers the wound care practice on her current unit are not evidence based, she has identified a professional practice issue. Lily is legally and ethically required to address a professional practice issue so she will need to meet with her manager to discuss this situation. 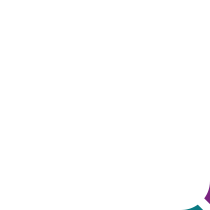 For more information on Responsibility and Accountability, continue to explore Standard 1 within the 2019 Standards of Practice for Registered Nurses. If you have any questions in meeting this standard of practice, please contact a Nurse Consultant at nanb@nanb.nb.ca or call 506-458-8731, or toll-free 1-800-442-4417. Erin and Judy are registered nurses (RN) who work in a labor and delivery unit in an acute care tertiary hospital. Erin and Judy work opposite shifts. Erin has noted that over the last six months, Judy had been consistently late for her shift, making Erin late leaving work. Erin has also had to work additional hours when Judy has called in sick at the last minute, leaving their unit manager with limited time to find a replacement. The narcotic counts have also been off after some of Judy’s shifts. On top of this, Erin has noted a change in Judy’s behaviour. Judy has been drowsier than usual, especially after her night shifts. Erin has considered that Judy might be misusing a substance, but she doesn’t want to jump to conclusions. Erin is concerned but is unsure of her accountability to follow up on these concerns with Judy or her unit manager because she does not have any specific evidence that Judy has misappropriated the drugs. Later that week, another RN colleague named Alison witnesses Judy misappropriating narcotics and self-administering the medications at work. Alison and the unit manager report Judy to NANB and now Judy is off work on a leave of absence. Erin is not sure about what she should have done differently in this situation. Should she have reported Judy? Should Alison have reported Judy? How can Erin learn from Alison in the future? How should she react the next time she works with Alison? Erin knows that she is obligated to meet the 2019 Standards of Practice for Registered Nurses. Standard 1, indicator 1.7 states: “recognizes and addresses violations of practice, incompetence, professional misconduct, conduct unbecoming the profession, and/or incapacity of nurses and/or other health care providers and complies with duty to report”. At the time, Erin was unsure of her obligation to this indicator. She had suspicions but no concrete evidence that Judy was misusing a substance. How Can Erin Learn From this Situation? Erin did notice a change in Judy’s behavior and that she seemed to be struggling with her professional obligations. When there was no concrete evidence but only a suspicion of problematic substance use, Erin may have considered approaching Judy to discuss her concerns. This type of conversation can be difficult because individuals who have a problem with substance use may deny that a problem exists and may react negatively to the concerns. If Erin had decided that a conversation was not possible, she needed to ensure client safety and have a conversation with her manager regarding the concerns. After the fact, Erin learned that Alison did speak with Judy who admitted to misappropriating the narcotics, but Judy had assured Alison that she had her substance use under control. Alison understood that she had an accountability according to Standard 1, indicator 1.7 to report these concerns. As a result, Alison met with the manager and focused the conversation on the specific issues related to Judy’s misappropriating as well as her suspicion that Judy was using narcotics while at work. Alison had also documented her observations of Judy’s behaviours, doing so in an objective and factual way by including information such as times, dates, locations, details of the events, names of witnesses, identification of any clients involved, and actions taken. She provided her manager with a copy of her documentation. After taking some time to self-reflect on her actions and meeting with her manager to discuss the situation, Erin understands that both she and Alison have a professional obligation as self-regulating RNs to meet these standards. To know more about problematic substances use or duty to report, please refer to the Guidelines for the Recognition and Management of Problematic Substance Use or Duty to Report: When am I responsible to do so and how do I do it? Julie works full time as a registered nurse (RN) in OR. She is married with two children under four. Three months ago, her partner was diagnosis with end stage cancer. She is holding the family together while working as long as she can before he becomes really sick. Her colleagues have noticed lately though that she has made several mistakes at work. They are now worried that clients are at risk. Answer: Her coworkers can offer their support but need to ensure client safety is not at risk. They will discuss the professional practice issue with their manager. The manager needs to make sure Julie is fit to practice by monitoring the situation, referring her to resources such as EAP or Occ Health and supporting Julie as much as possible. FAQ: What is the difference between the assignment and the delegation of nursing care? FAQ: Accessing Resources Online – What Do I Need to Think About? FAQ: What is My Accountability as a Preceptor or Mentor? Richard is a registered nurse (RN) who works on a medical surgical unit in an acute care tertiary hospital. The staff mix on the unit is comprised of both RNs and licensed practical nurses (LPN). Today, he is working the day shift in the charge nurse role and one of his accountabilities is to develop the client care assignment for the unit. Richard knows he is obligated to meet the 2019 Standards of Practice for Registered Nurses. He also understands that Standard 2 indicator 2.7 states that each registered nurse demonstrates this indicator by assigning and delegating nursing activities in accordance with client needs, the roles and competence of other providers and the requirements of the practice setting. What Factors Should Richard Consider when Making the Unit Assignment? The first factor Richard should consider is the predictability of the clients. For example, he should ask himself which clients have predictable outcomes and which client outcomes are not as predictable. The predictability of clients is a determining factor because it dictates what the collaborative RN/LPN assignment will look like. Within the collaborative assignment, the LPN provides care to clients who have more predictable or established outcomes and the RN provides care to clients with less predictable outcomes. The RN will also collaborate with the LPN if the client becomes less predictable and to ensure the plan of care is updated to reflect the client’s current care needs. A second factor Richard should consider is the scope of employment and agency policy because this may also have an impact on a client assignment. For example, a nurse may require additional employer-based education about a VAC Dressing before caring for clients with that specific need. When making a client assignment, a third factor Richard should think about is the context of practice. This includes factors such as the experience of the staff working, the acuity of clients and the level of care required. After Richard completes the initial assignment, taking into account the factors outlined above, he should collaborate with the RNs and LPNs throughout the day and make changes to the assignment if client needs change. For the other RNs and LPNs working with Richard, it is each or their individual accountability to conduct ongoing assessments of the clients’ conditions and to notify Richard if there is a change in the clients’ acuity in order to re-evaluate the assignment if needed. For more information on Knowledge-Based Practice, continue to explore Standard 2 within the 2019 Standards of Practice for Registered Nurses. If you have any questions in meeting this standard of practice, please contact a Nurse Consultant at nanb@nanb.nb.ca or call 506-458-8731, or toll-free 1-800-442-4417. Margie, a registered nurse (RN), who works on a med/surg unit in a small community hospital is a preceptor for Jessica, a recently hired licensed practical nurse (LPN). Three of their clients have just been discharged and they will be receiving a new admission as soon as the bed is ready. Answer: The RN and the LPN need to understand each other’s scope of practice. They can then collaborate to maximize efficiency when completing client care and developing the new client’s plan of care. Although it is Margie’s accountability as the RN to interpret the information gathered and develop the plan of care, there are many ways that Jessica can contribute to this process. Arjun is a new graduate who has accepted his first job as an RN and is working on a general medicine unit. He understands the importance of developing the plan of care but is confused about his role when working collaboratively with an LPN. Cheryl is an experienced LPN with 20 years of experience working on the general medicine unit. She enjoys working with new graduates. She is a trusted and valued member of the nursing team and she understands her role clearly regarding collaboration in care planning. On Friday morning, Arjun and Cheryl are working collaboratively to provide care to 10 clients. They both listen to the morning report and learn the following: 3 clients will be discharged home; 1 client is awaiting placement in an alternate level of care unit and 3 clients have an established plan of care. The three clients with established care plans were admitted three days ago and are meeting their plan of care. One client has been unstable through the night and the two remaining clients who were admitted overnight are now stable and are meeting their short-term goals. How will Arjun meet the 2019 Standards of Practice for Registered Nurses and specifically, the following indicators in Standard 2? 2.2 establishes the initial nursing plan of care based on a comprehensive assessment. 2.3 monitors the effectiveness of the plan of care and revises the plan as needed in collaboration with the client and the health care team. Who is the most appropriate nurse to provide discharge care to the three clients going home? If a plan of care includes long term goals, have they been established for the newly admitted clients or does this still need to be completed? The needs of the three-day post-operative clients and who is the most appropriate nurse to meet these needs? The questions can be answered when Arjun and Cheryl look at the context of practice. 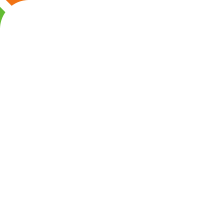 The context of practice includes the patient population, the nature of the of care required, complexity and frequency of healthcare interventions, client’s response to the interventions, service delivery models, medication systems, employer policies, educational support, staffing and other resources. Arjun and Cheryl will need to look at all of these factors to determine how they will organize the care needed to provide safe, quality care to their 10 clients. 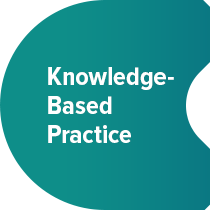 For further information on Knowledge-Based Practice, continue to explore Standard 2 within the 2019 Standards of Practice for Registered Nurses. If you have any questions in meeting this standard of practice, please contact a Nurse Consultant at nanb@nanb.nb.ca or call 506-458-8731, a toll-free 1-800-442-4417. What is professionalism? Why does it matter? Annette, registered nurse (RN) works in a rehabilitation centre for clients with spinal cord injuries. She enjoys her work and feels like she makes a difference in the lives of the people she works with. Steve is a 48-year-old client who is a paraplegic as a result of a car accident. Steve’s wife Leanne has been a great source of support and has rarely left his side since the accident. Annette has become very friendly with Leanne; they have children the same age, enjoy similar activities and have a lot in common. A few weeks after Steve is discharged home, Leanne sends Annette a Facebook message asking to get together with her and Steve for coffee. Annette needs to consider if meeting Leanne and Steve for coffee in a social context could violate professional boundaries. 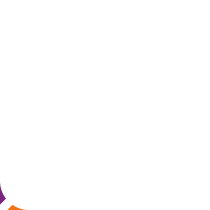 Professional boundaries are defining lines which separate the therapeutic behaviour of RNs from any behaviour which, well-intentioned or not, could reduce the benefit of care to clients. Staying within appropriate boundaries promotes safe and effective care that meets clients’ needs. It may be acceptable in some instances for an RN to engage in a social relationship with a former client and/or their family. It may be acceptable for an RN to socialize with a client outside of the workplace if for example, the RN provides care to a client for only a few days and then is not expected to provide care for the client again. Annette will need to ensure she is meeting the 2019 Standards of Practice for Registered Nurses. Specifically, how will Annette meet the following indicator in Standard 3? 3.3 initiates, maintains and concludes the therapeutic nurse‐client relationship. the potential impact on Steve and Leanne’s future experiences with the health care system. For example, would they trust other health care providers or believe they would need to travel elsewhere for treatment if the social relationship ended poorly? the degree to which Steve has developed an emotional dependency on Annette. Annette considers these factors. Using the standards of practice as a guide, she confirms that when Steve was hospitalized, the relationship between the three of them was strictly professional. She also notes that a period of time has elapsed since Steve was discharged, which means that a personal relationship had not started when Steve was her client. Once Annette has confirmed the relationship was professional, she now needs to consider how long Steve was a client, the emotional support Steve required during their therapeutic relationship, and the likelihood of Steve requiring future care from Annette. The care Annette provided to Steve was focused on his physical, emotional, and psychological needs. For example, it focused not only on his spinal cord injury but also his loss of independence and his loss of income. He was a client of Annette’s for six months and there is a possibility Steve could be re-admitted and may require ongoing nursing care. There is a possibility she will have an ongoing professional relationship with Leanne and Steve. If she establishes this personal relationship, she could be at risk of crossing professional boundaries. Therapeutic relationships with an emotional and psychological component can create an imbalance in power and can create a potential dependency on the RN. Annette feels bad but she needs to ensure she is meeting her standards of practice. Annette explains her professional accountability to Leanne and Steve and declines their invitation for coffee. Although it didn’t feel the best declining the invitation, Annette feels confident that she has maintained professional boundaries and will be able to provide the best care possible to Steve, Leanne and other clients in the community in the future. To know more about professional boundaries, please refer to the Standards for the Therapeutic Nurse-Client Relationship. For more information on Client-Centered Practice, continue to explore Standard 3 within the 2019 Standards of Practice for Registered Nurses. If you have any questions in meeting this standard of practice, please contact a Nurse Consultant at nanb@nanb.nb.ca or call 506-458-8731, or toll-free 1-800-442-4417. Karen, registered nurse (RN) works in long term care. She has become close to Esther, a client who recently celebrated her 95th birthday. During the celebration, Karen asked Esther’s daughter if she could take a picture with her cell phone. Esther’s daughter said that would be fine. Later that day, Karen posted the picture to her Facebook with a caption “so happy I work with special people like this”. Karen’s profile identifies her as an RN who works at Shady Lane Nursing Home. Karen breached Standard 3, indicator 3.4: upholds and protects clients’ privacy and confidentiality in all forms of communication included but not limited to e-records, verbal, written, social media by using her personal cell phone to photograph a client and then posting the client’s picture on her Facebook account which identifies where she works. Refer to the Standards of Practice document to identify other standard 3 indicators Karen violated. 3.3. initiates, maintains and concludes the therapeutic nurse‐client relationship. Perhaps you identified others. Know the social media policies at your workplace. 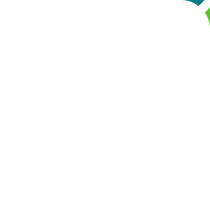 Also, check out the Practice Guideline: Responsible and Ethical Use of Social Media and Information Sharing Technologies and other helpful documents by clicking on this link: Social Media. Lisa, a graduate nurse (GN), and member of an Indigenous community receives her patient assignment for her shift. On report Lisa hears about an Indigenous client on the unit who is one day post-op from a lower leg amputation. The night registered nurse’s (RN) report indicated the client is lazy, non-compliant, and deserves this outcome. Lisa immediately feels disrespected and wishes she could stop the report and share her disappointment with her colleagues seated around the table. As the day progresses, Lisa cannot get this experience out of her mind and feels it is impacting the nursing care she is able to provide. She is unsure how her colleagues feel about what happened and does not feel safe asking them or sharing her thoughts. Lisa fears speaking out as she is new to this unit and does not want to affect her career. What other nursing values and ethical responsibilities from the Code of Ethics you think Lisa could use to address this situation? 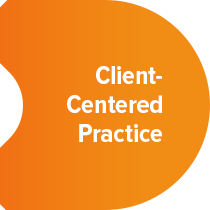 For more information on Client-Centered Practice, continue to explore Standard 3 within the 2019 Standards of Practice for Registered Nurses. If you have any questions in meeting this standard of practice, please contact a Nurse Consultant at nanb@nanb.nb.ca or call (506)458-8731, Toll-free 1-800-442-4417. Rachel, a nurse practitioner (NP), and Patsy, a registered nurse (RN), work in a busy primary care clinic. Their manager, Joelle, also an RN, has decided to add another staff person to address work load issues. After completing a job analysis, she decided a licensed practical nurse (LPN) would be the best fit. Respecting and seeking to understand the LPN scope of practice e.g. call the regulatory body of LPNs (ANBLPN), ask others. Facilitating a staff meeting to discuss how they can work collaboratively as a team that Joelle will coordinate and oversee. Creating and maintaining a safe and respectful environment for all. Joelle should ensure everyone’s job roles are clearly outlined, that policies are updated, and that huddles occur to check in on teamwork and to clarify questions related to collaborative practice. To know more about RN and LPN working in collaboration, please refer to the Guidelines for Intraprofessional Collaboration: Registered Nurses and Licensed Practical Nurses Working Together. 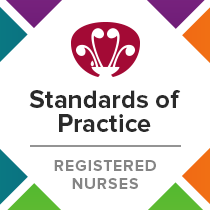 For more information on Professional Relationship and Leadership, continue to explore Standard 4 within the 2019 Standards of Practice for Registered Nurses. If you have any questions in meeting this standard of practice, please contact a Nurse Consultant at nanb@nanb.nb.ca or call 506-458-8731, or toll-free 1-800-442-4417. Becky has worked as a community health registered nurse (RN) in a First Nation community for two years. Recently her supervisor asked her to develop a policy guide for a methadone clinic at the health center. As such programming is new to this community, many residents are opposed to this type of service for fear of it leading to further addiction issues. In recognizing her role in advocacy for marginalized populations, Becky hosts several community consultation sessions to get input and to provide information to the community about the risks and benefits of methadone therapy. Becky understands the importance of access to relevant health services and the impact of determinants of health in populations. Answer: Becky gathered crucial information from the First Nation’s community regarding the fear of methadone clinics triggering further addiction issues. Moving forward, Becky is also responsible to prepare herself with evidence-informed resources. To do so, she needs to consult credible resources like the Government of Canada regarding health inequalities so that she can give everyone the same opportunities to be healthy, no matter who they are or where they live. With her experience, she already knows that many factors have an influence on health, and she must support the reduction of health inequalities in this marginalized community when developing this policy guide. 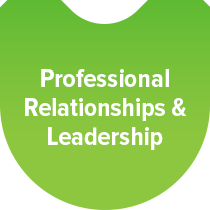 For more information on Professional Relationships and Leadership, continue to explore Standard 4 within the 2019 Standards of Practice for Registered Nurses. If you have any questions in meeting this standard of practice, please contact a Nurse Consultant at nanb@nanb.nb.ca or call 506-458-8731, or toll-free 1-800-442-4417. Randy has been a dedicated CCU registered nurse (RN) for twenty years. Over the years Randy has provided nursing care to many clients who have experienced a myocardial infarction. Randy has been vocal about the lack of access to health promotion programs in his community which has led him to integrate comprehensive teaching related to healthy lifestyle choices. Due to his leadership in this area, his Nurse Manager has invited him to represent their unit as part of a cardiac wellness pilot project. To access this tool and other relevant information on population health, refer to the following link: What is the Population Health Approach? ​If you need assistance in applying these standards to your nursing practice, contact NANB Practice Support by email at nanb@nanb.nb.ca or call (506)458-8731, Toll-free 1-800-442-4417.